TRANSIT AND SELF PROPELLED WHEELCHAIRS AVAILABLE FOR HIRE. 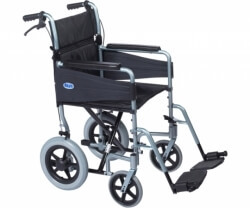 ALL OUR WHEELCHAIRS ARE FOLD ABLE AND LIGHTWEIGHT WITH MAX USER WEIGHT OF 18 STONE. PLEASE CALL THE CLACTON BRANCH ON 01255 435566 FOR MORE INFORMATION AND BOOKING AVAILABILITY.